ARTICLES 12	From the Bench: What’s the Plan, Stan? 36	In Reference to Reference Based Pricing by Ron E. Peck, Esq. SIIA CHAIRMAN’S MESSAGE SIIA’s International Conference returns to hot spot Miami and the iconic Eden Roc Hotel, June 9-11th! he globalization of the self-insurance/alternative risk transfer industry is increasing in momentum as effective solutions for the selfinsurance needs of companies are adapted to local markets. agreements that the United States has entered into with countries in the region. The survey will include general treatment of the international aspects of the Affordable Care Act. Captive Insurance Solutions in/for Latin America I am honored to speak at this year’s International Conference! Latin America is an emerging market for Captive insurers. Domiciles such as Puerto Rico, Panama, Barbados and Bermuda are busy positioning themselves as the domicile of choice for this emerging market. I will explore the challenges and benefits for Latin American companies as well as the relative benefits of these domiciles. Emergency Medical and Travel Assistance Ever been called at 2AM on Saturday morning by a client who has a traveling employee in Buenos Aires who just fell and broke her leg? What do you do, who do you call and, oh, do you speak Spanish? Anthony Froelich, Regional General Manager, Travel Guard, a Member of AIG, will provide an in-depth look at the value of adding a robust, comprehensive assistance program to your current service platform. He will highlight how a global 24/7 emergency medical and travel assistance program not only enhances your value proposition and differentiates your offering but also brings a level of expertise and support to your team freeing them up to concentrate on your core business. For more information on SIIA’s International Conference, including registration and sponsorship opportunities, please visit www.siia.org or call (800)851-7789. Key Success Factors for Globalizing a Multinational Employer’s EAP Value for the dollar, the employee assistance program (EAP) is one of the most powerful benefits an employer can provide to their workforce. Problems related to depression, marital conflict, substance abuse, legal matter and other life complications are not contained within specific international borders, so it is important for multinational employers to take a global view. group in New York, as well as a self-insured company, about pursuing this same solution. under the Dodd-Frank Act. Hills says groups are often having to post anywhere from 60% to 100% of additional security or cash behind that action, which seriously restricts or drains liquidity. However, Marsh’s program allows them to post just 25% collateral to create this facility and pay an annual fee to cover the cost of that structure. “They’re going to free up 75% of that cash collateral they’ve got sitting behind their L/C or surety bond, which can be used for working capital within the group,” he explains, including helping manage workers’ comp. “Banks and sureties don’t want to take on the credit risk of the SIG.” Marsh, in effect, has removed that risk from bank balance sheets and instead taken it into the insurance or reinsurance markets, while providing security or collateral that is acceptable to the state regulator. The effort took shape about a month or two after the start of California’s annual posting cycle for self-insurance, which runs from July 1 to June 30. “We were able to get a six-month transaction done in December,” Hills reports, “and now over the last couple of months, we’ve been talking about deepening that structure across many more groups.” The facility’s size is expected to more than double this year. try to control those workers comp’ costs.” Size also matters. Many small and midsize employers that tap the program will have an ability to continue the option of self-insuring workers’ comp in a group setting, he adds. insurance broker with JW Terrill Inc. who chairs SIIA’s Workers’ Comp Committee. migrates to states with low-end collateral requirements. amount that’s now $7.4 billion. So rather than pay annual fees to banks and surety companies, each of the 350 employers pays the SISF, which arranges and guarantees collateral deposit requirements on their behalf based on credit standards. Those that do not meet these standards must directly post their collateral security deposits with the Office of Self Insurance Plans. previously weren’t available to them. Having access to a collateral alternative enables SIGs to “pay a premium or combination of premium and some collateral into a program that is less cost intensive than it would be if they had to do the whole collateral piece,” according to Hebson. Perhaps the most important point of all about the program is that it supports self-insurance, which he says “is probably the most efficient way to cover your exposures if you have all the other pieces in place.” n Bruce Shutan is a Los Angeles freelance writer who has closely covered the employee benefits industry for 26 years. 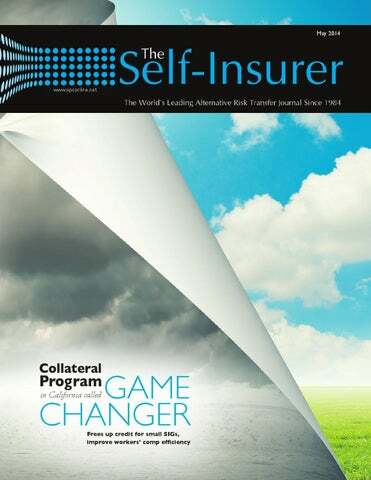 REGISTER NOW @ WWW.S IIA.ORG © Self-Insurers’ Publishing Corp. All rights reserved. Known for his extensive writing on medical stop loss insurance issues, both in The Self-Insurer and on his comprehensive website, www.stoplosslaw.com, Tom has been practicing law for 34 years. Currently he practices through his own firm, CROFT LAW LLC, in Atlanta, GA. He regularly advises and represents stop loss carriers, MGUs, and occasionally TPAs, brokers, and self-insured groups, in connection with matters relating to stop loss insurance and the disputes that may arise among these entities regarding it. He currently serves on SIIA’s Healthcare Committee. He has been honored as a Georgia “Super-Lawyer” for the past six years running, and is listed as “Tier 1” in insurance by Best Lawyers. He is an honors graduate of Duke University and Duke University School of Law, where he formerly served as Senior Lecturer and Associate Dean. totaled $180 million including the double damages allowed by the federal statute. Rafael Gonzalez, Director of Medicare and Medicaid Compliance of Gould & Lamb, a firm that provides Medicare compliance services, comments: “Although not all cases are this large or all expenditures this great, the Center for Medicare and Medicaid Services (CMS) indicated that total savings due to MSP recovery were $8 billion in 2013.” Medicare recovery under the MSP is certainly not limited to large organizations. The ART community including risk retention groups (RRG), captives and selfinsured entities is especially vulnerable because it relies on service providers such as TPAs or captive managers to assure compliance with the whole range of federal and state regulations. “The ability of Medicare to come back for monies it feels it shouldn’t have spent is not well understood by those who manage risks through alternative means,” Gonzalez says. “Many parties first learn that they have a problem when Medicare demands payment or files a suit.” Recovery of monies Medicare feels it shouldn’t have spent is one of several compliance issues faced by insurers, according to Gonzalez. He recommends that all insurers, but especially RRGs, captives and self-insured organizations learn how to get in front of compliance issues through several methods: • A Mandatory Insurer Reporting process monitors whether claimants may be Medicare beneficiaries and, if so, identifies specific cases that will need detailed attention. that you have greater control and your family estate – not an insurance company – benefits when the captive is profitable. In addition, you have minimal administrative obligations.The program is administered by a captive management company that provides the necessary structure, claims management, legal, accounting and other functions necessary to operate. Types of Captives Captives provide coverage for a number of industries and are available in several configurations. We will focus on The Group Captive market to insure Workers’ Compensation, Auto and General Liability. Group Captives are utilized by mid-sized companies that have casualty premiums of $200,000 - $3,000,000. Group captives enable similar or diverse businesses to band together to form a cooperative to share the risk, cost and benefits of providing commercial insurance to their members. B. Premium Development for Window Company The captive will develop a casualty premium based on 5 years of incurred losses and exposures. Large losses will be limited to $100,000. Group Captive Model Although Group Captives can have a variety of structure and administration; we will focus on the most common model. Since the 1980’s, the most successful Group Captive managers have utilized one format of Risk Sharing. Your Yourrisk riskisisa aunique unique combination combination of Your risk is aofunique factors. factors.Shouldn’t Shouldn’t your combination of your factors. Shouldn’t solution solutionbe betoo? too? your solution be too? We Wecan’t can’tstop stop misfortune. misfortune. We Wecan can stop stoploss. loss. Becoming Becoming a top a top tiertier Stop Stop Loss Loss carrier carrier doesn’t doesn’t justjust happen. happen. ForFor 35 35 years, years, ourour dedication dedication to creative to creative solutions solutions hashas made made us us thethe toptop choice choice forfor ourour clients. clients. Not all NotStop all Stop LossLoss carriers carriers are created are created equal. equal. Today’s Today’s businesses businesses havehave unique unique needs needs that demand that demand expert-level expert-level service. service. That’s That’s beenbeen the foundation the foundation of our of Stop our Stop LossLoss offering offering fromfrom the beginning. the beginning. We know We know it’s not it’sjust not the justplan; the plan; it’s the it’steam the team behind behind it. it. YourYour business business is unlike is unlike any other. any other. It’s time It’s time for afor Stop a Stop LossLoss carrier carrier that’sthat’s unlike unlike any other, any other, too. Our too. mission Our mission as Voya as Voya Financial Financial is to is make to make a secure a secure financial financial future future possible possible for employers for employers and employees and employees nationwide. nationwide. source of income. If your objective is to accumulate a variety of business assets to generate family wealth, then a Group Captive is an alternative that should be evaluated. Some captive owners in low margin industries like trucking could generate more profit from their insurance captive than their trucking operation. Other captive owners can become fanatical in every aspect of risk management once they are engaged from captive participation. Let’s consider a long term outlook on insurance risk financing. Using our Window Company example, the company is paying $450,000 in annual casualty premiums. Over the next ten years that would be about $5,000,000 of pure expense when you include investment income. Most importantly, the family estate only participates in the captive profits. The operating entity Window Company will incur any loss assessments, (Years 5&7 in our 10 year scenario) with no impact to the family estate. This is the primary reason why companies rarely leave the captives. hat exactly is integrated benefits program and what is the opportunity for employers looking to improve their sophistication in employee absence management and the associated cost controls? identification of overlap and waste in the traditional delivery of workers compensation and employee benefit coverage; where active management can contribute to lower budget loads from employee insurance costs. New technologies provide employers the tools to exploit the overlap and inefficiencies in employee health plans and workers compensation insurance costs. Employers and selffunded operators have considerable financial investment in employee health and safety coverage’s where expense overlap is frequent and excessive. Integrated benefit models deliver high touch multi disciplinary controls with the intent to barrage very high-risk employee health and safety exposures. These high-risk employees aren’t a high number set; however, an imminent mega health event requires early identification, resource coordination and employee engagement with continuous case management monitoring. Every employer has high-risk employees and many attempt to finance or fund reactive insurance programs without investing intervention resources and controls before a mega event attaches to a policy. Inflationary medical indexes make this a costly funding model. Integrated benefit models allow for enhanced tools that give clarity and importance to case managers. This creates efficiency in delivering coverage appropriate controls. One emerging strategy is delivering field clinicians to engage employees that have real health issues that are silent, emerging or an event complicating comorbidity. This resource targeting strategy is engaging onsite education and resource with employees in poor health. This model is most effective in delivering assets to keep these employees working and invested in lifestyle support and productive employment. benefit activity flags. An example would be an employee sustains an injury to their back on a Saturday working in the yard requiring urgent services; subsequently reporting to work on Monday claiming the injury occurred at work. Integrated benefit programs will catch the double billing and dates of service for a similar injury. This will trigger an investigation of the employee injury and dual claims where workers compensation fraud is occurring. This integrated benefit model is much more flexible and service accurate because they capture both sides of the employee medical cost rather than the traditional silo’s that exist in standard programs. The traditional corridors are breached and opened to case management versus coverage management. This produces an improved outcome with much lower expense by improving data efficiencies. dollars in identification and intervention resources will prevent a mega event where costs can spiral in excess of half a million dollars on a per claim basis. Integrated benefits models rely on very specific targeting of impending high expense events. medical engagement and activity driving costs for return to work and limiting the maximum medical improvement. Historically, loss exposures for both employee health and workers’ compensation often overlap. Health comorbidities have consequences for employee safety and absentee management programs. For a quick review of this phenomena consider a recent case study by an Illinois based insurance program manger group: An employee is hired at 22 years of age. At the time of hire he/she is by all indications healthy and physically fit. Over time and decades, poor individual health choices manifest into the common trifecta of obesity, musculoskeletal degeneration disorders, and diabetes. Any of these three separately pose significant cost loads for traditional plans and policies, combined these comorbidities can overwhelm loss expense forecasting and complicate reserve and loss funding. These three exposures will have corresponding coverage activity on the individual health plan and workers compensation considerations if injured while working. This also places upward pressure on insurance costs year over year. These three common health exposures put extraordinary loads on group health coverage and bleeds into employee safety and workers’ compensation coverage; leveraging operating budgets and insurance costs. Medical costs for unfit employees are up to 3x the cost for services for fit employees. Unfit persons heal slower, require longer term medical engagement and extended physician monitoring for associated comorbidities. appropriate benefit coverage in advance of a mega expense event. This combined with traditional employee health management and safety systems have long-range budget relief potential in the areas of insurance cost management. These models also require manager training for improved sophistication in employment practice tools for effective employee management and communication skills. n Author Brian Devlin is Vice President of Risk Management Services at Insurance Program Managers Group. In 1997, Brian was recruited to help build a risk management program for a new market mono line workers’ compensation carrier specializing in healthcare and LTC. He was the third employee hired and formed a risk management service platform that expanded into a multi-state operation covering seven states. During this time, clinical-based risk management was expanded for operational healthcare exposures. Brian served as the branch manager and supervisor for the risk management & loss control team. He was responsible for risk management consultant operations, program/service development, TPA services and agency development. 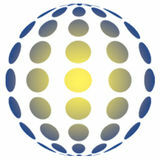 IPMG’s rapid growth as an industryleading program manager brought Brian to IPMG in 2004. He was hired in Risk Management Services, responsible for program development, local agent development, and risk management service delivery to the healthcare industry, long-term care operations, distribution companies, equipment manufacturing, and local governmental taxing bodies. Brian soon embedded himself in public entity risk management at IPMG, increasing the scope of service delivery and available resources to clients and program members. n the last twenty years, the concept and use of cell captives has become widespread. There are dozens of domiciles worldwide that allow for this structure for captives and that number is growing every year. The popularity of these types of alternative risk transfer vehicles is based on their flexibility – they are more easily launched, they generally require less capital, they can separate risk by lines of business, they can be easily expanded and they can be quickly shut down – as compared to a pure captive. structure is the original type – the Protected Cell Captive – also known as a segregated portfolio company, a separate accounts company or a private act company, depending on the domicile. However, there are also Incorporated Cell Captives and, most recently, Series LLC Captives. The idea of a cell captive is a relatively new one which grew out of the renta-captives concept utilized by Bermuda and other offshore domiciles from the late 1980s on. The concept amounts to an insurance company allowing outside organizations to access its captive operations for a fee without the financial commitments by those outside companies that would be required to set up their own captive. Based on this idea, in the late 1990s the domicile of Guernsey passed the first official law legalizing cell captives. This law took the rent-a-captive idea and legally segregated the assets of each section of the company from that of the other, creating individual cells. Many other captive domiciles quickly passed similar law, with the first U.S. domiciles, South Carolina and Kentucky, joining the rush in 2000.
limitation is that an existing SBU will often only allow a limited range of permitted lines of coverage. Solving problems for clients since 1975. Consultants in more than 60 cities nationwide. Expertise that you can’t get anywhere else. captive that best meets the needs of its owners. According to Mooneyham, “The biggest advantage cell captives bring to the table is the flexibility they allow for with the design of an overall captive structure. Assets and liabilities can be walled off in number of different ways to make an overall structure much more appealing than a pure captive arrangement.” • Because the capital resides in the core company, cell captives are easier and quicker to close down than a regular captive. Charnley, “There are many risks that an organization could be exposed to but typically wouldn’t want to go out and buy traditional coverage for because it would be cost prohibitive to do so.” Mooneyham agrees that cell captives have to potential to meet the needs of some of the emerging risks in the insurance market. “I see activity with enterprise risks that are difficult to current place in the general insurance market. Risks such as cyber liability, reputational exposures and supply chain elements.” As the cell captive structure heads towards its twentieth anniversary, there seems to be no end to their growth potential. Given their flexibility and ease of set-up, there is plenty of opportunities for cell captives to grow. As this sector of the industry matures, cell captives will no doubt evolve even further. n Karrie Hyatt is a freelance writer who has been involved in the captive industry for nearly ten years. More information about her work can be found at: www.karriehyatt.com. ECHO, A Trusted Partner with A Trusted Solution ECHO Health, Inc. is the leading provider of electronic healthcare payment solutions, serving over 45,000 ERISA health plans and fully insured groups through a single secure ERISA, HIPAA and CORE compliant system. A Name You Can Trust Contact Mike Hindo at 440.249.0863 or info@ECHOHealthInc.com ECHOHealthInc.com © Self-Insurers’ Publishing Corp. All rights reserved. the paper it’s written on, if the rate is excessively inflated many times beyond the value of the discount? This all seems like a great argument to drop your network and utilize reference based pricing. The problem, however, is that many fail to recognize the many benefits and services we secure utilizing networks, above and beyond discounts. While discounts may be the first thing payers think of when PPOs are mentioned, few if any give full credit to the network for other benefits they provide, until the network is gone. Addressing the vacuum left behind when a network is abandoned is therefore a key requirement for a successful plan. should be consumers, when push comes to shove many plan sponsors agree that patients should not have to deal with the actual billing and payment for their care. Unlike a car or home, they should be focused entirely on getting well. Health, unlike “possessions” is a sensitive subject, and one about which consumers cannot possibly make rational decisions. Someone may choose a $15,000.00 compact car over a $30,000.00 sedan, but no one is willing to be frugal when it comes to their health. With this in mind, then, it’s easy to forget that healthcare is an industry, and hospitals are businesses. If we get trapped in ideological debates over morality and values, we miss the plain truth – you can’t force anyone to take less than they are willing to accept as payment in full.You either give them what they want, identify alternative forms of payment, or go elsewhere. As one hospital attorney once said to me, “slavery was abolished many years ago.” With this in mind, try to put yourself in the shoes of the provider, and appreciate the knee-jerk emotional reaction many providers have had to reference based fee schedule payments. Despite the fact that millions of lines of data prove that the provider should make a hefty profit off the reference based payment offered by the plan, the mere suggestion that the provider’s services “aren’t worth what the provider thinks the services are worth” is an affront. I often remark that the difference between a reference based “fair market value” fee schedule and a discount is that, with the fee schedule I don’t need to know what the provider is charging. I only need to know what service the provider provided. With a discount, you need to know what the provider is charging. The problem with discounts is that by increasing the amount charged, the discount can always be nullified. addition to his duties as counsel for The Phia Group, Ron leads the company’s consulting, marketing, and legal departments. Ron is also frequently called upon to educate plan administrators and stoploss carriers regarding changing laws and strategies. Ron’s theories regarding benefit plan administration and healthcare have been published in many industry periodicals, and have received much acclaim. Prior to joining The Phia Group, Ron was a member of a major pharmaceutical company’s in-house legal team, a general practitioner’s law office, and served as a judicial clerk. Ron is also currently of-counsel with The Law Offices of Russo & Minchoff. Ron obtained his Juris Doctorate from Rutgers University School of Law and earned his Bachelor of Science degree in Policy Analysis and Management from Cornell University. Ron is also a Certified Subrogation Recovery Professional (“CSRP”).